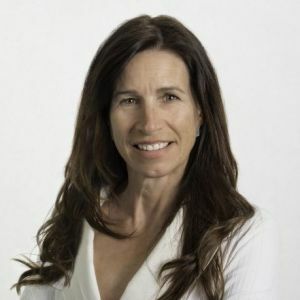 Monique Morden has a data driven background combining over 20 years of experience in customer intelligence and over 10 years in technology. Monique played a role in disrupting the market research industry as a senior executive at Vision Critical, where their cloud based customer intelligence platform created an innovative alternative to traditional market research. Inspired by the transformative power of technology, Monique co-founded Mentio in 2014, where the goal was to leverage machine learning algorithms to analyze trends and patterns in the cloud accounting data of small businesses. The result was a mobile first automated cash flow forecasting tool for small business owners, acting as an early warning system for cash flow issues. While taking part in Techstars (Seattle 2015), Mentio realized the value of their application to the alternative lending space leading to Lendified recognizing the power of Mentio’s cash flow algorithm to their credit engine, spurring an acquisition in March, 2016. Monique is a graduate of the Masters of Business Administration program at Beedie School of Business, Simon Fraser University; and an Honours B.Sc graduate from the University of Guelph. Monique is based in Vancouver with her husband and three teenage daughters where they spend many hours ripping powder at Whistler.